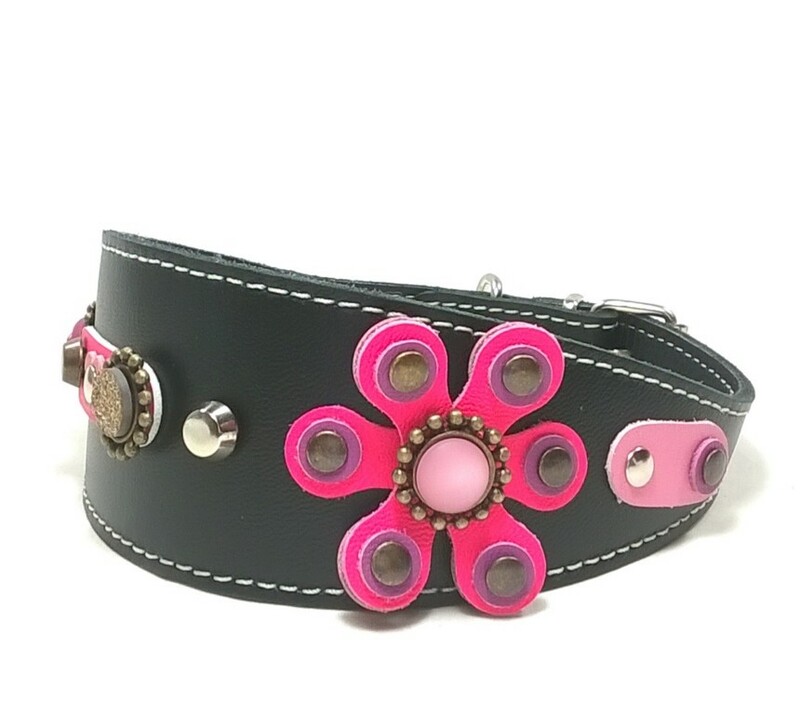 Original Dog Collars and Cat Collars with Matching Bracelets for their Owners! Original and Exclusive Leather Custom Dog and Cat Collars with Matching Bracelets for their Owners. With all my love and taste I form my ideas and designs and assemble my creations of original cat and original dog collars with the matching bracelets in my workshop. All models s are unique and only available in limited editions. Personalized Leather Collar for Greyhounds, Galgos , Lurchers and Whippets. The leather for all original dog collars, as those for cats and the bracelets, is manufactured especially for Superpipapo in Spain (Alicante). This under strict quality control and are of the highest possible leather quality. All other materials, such as the connectors and ornaments, are of the same standard. They are chosen with caution and always connected to the collars accurately. Always safety and comfort first. The connectors to attach the ornaments on the cat and original dog collars are made of high quality stainless steel or zamak. The ornaments are of different materials chosen for their level of resistance. All my my products are exclusively designed by Rikst Rosier, my creator! They can be as varied and unique because she has access to thousands of beads and accessories. They are available in all sorts of color and materials in my bead shop called Créate. This is where I have my workshop for fabrication and design. Superpipapo only makes limited editions! Don’t hesitate to buy straight away if you see a collar to your and your pet´s taste. It may be that it is the last and that it will not be available again! If you don’t see anything you like today, don’t you forget to visit me again tomorrow! 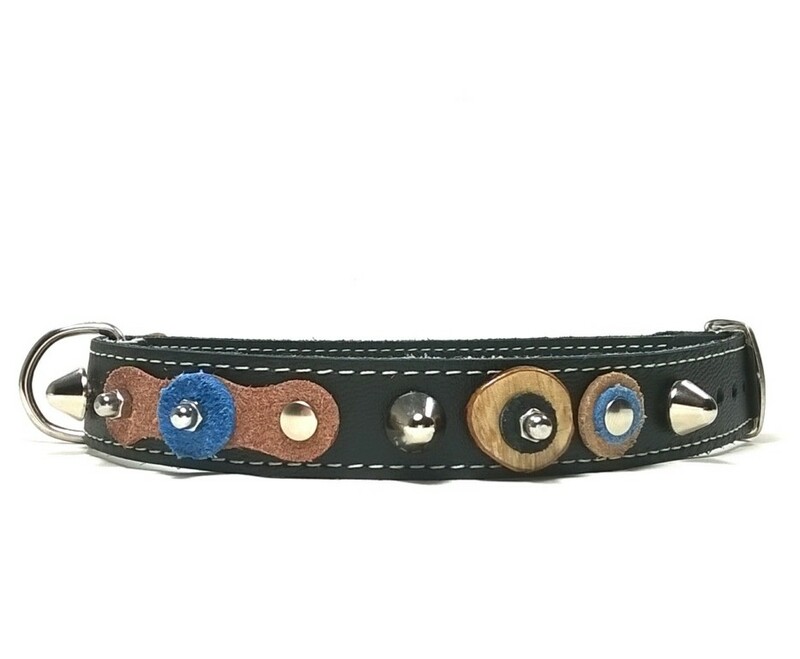 Give your Dog or Cat a Truly Unique Collar! (I always like receiving ideas of all animal lovers. Please, send me yours by using the special contact form). I always answer and might realize your ideas in short term.